Nursing is not a powerful profession. Nursing as an activity takes place in a context of power differentials and social inequalities. Nursing’s form and relationships have evolved over time, and what we imagine nursing to be today is the consequence of varied and complex interactions in a number of spheres and at a number of levels. Its current location in a centrally administered welfare system exposes it to the vagaries of political will and economic change, which has a direct effect on the work nurses do and where and with whom they do it. 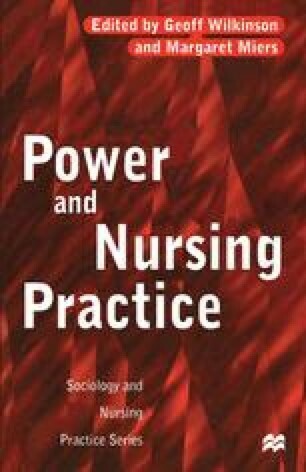 This book derives from concern that student nurses are rarely introduced to ways of analysing power that derive from social theories despite a proliferation of articles on and interest in nurses’ role in the empowerment of those for whom they care.